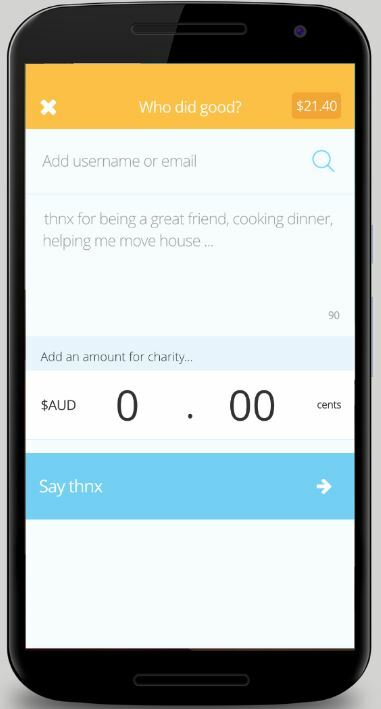 A new Australian charity donation application has been launched by a South Australian foundation which aims to use the power of micro donations to say “thnx” and to reward good deeds in the community. 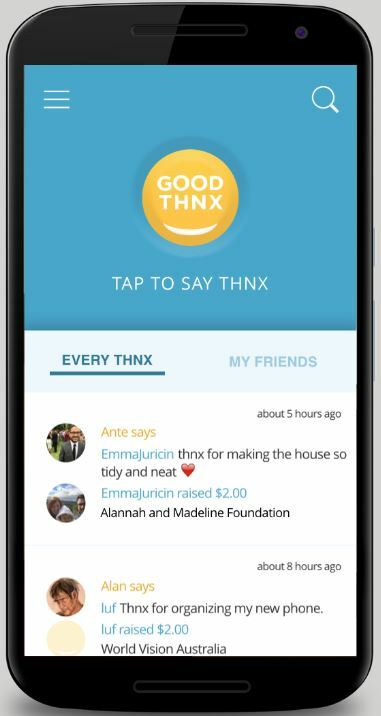 The Good Thnx App has been launched by the Good Thnx Foundation with more than 20 Australian charities signing up as partners. The free app allows people to show gratitude for good works in the community using their smartphones. 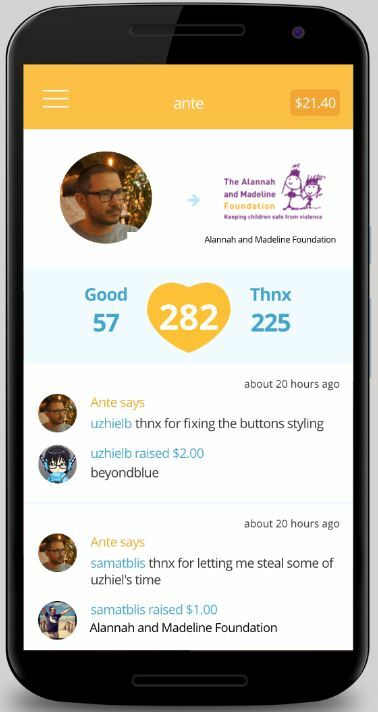 Co-Founder, Shannon Poulton, who has a marketing and social media background, said that the Good Thnx platform enables people to send a “thnx” to anyone who does something good, and includes a short message and an amount to go to a charity. “The person you say thank you to is notified and they choose which charity gets the money,” Poulton said. Poulton and co-founder Ante Juricin, together with the founding charity partners, have been working with an advisory board of Australians with experience in online technology, consumer behaviour and social innovation. Poulton said these experts included Alan Noble, Engineering Director at Google Australia and New Zealand?, Adam Ferrier, the Global Chief Strategy Officer and consumer psychologist at ?cummins&partners ?along with David Paterson, Chief Innovation Officer at World Vision Australia. ? “Australians can go to www.goodthnx.me and say thnx straight from their web browser (on mobile and desktop), or download and use the free Android app,” he said. Good Thnx was developed in-house through a software company Poulton set up with Juricin which he said applies commercial and technical disciplines for social good. 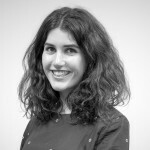 “Goodthnx.me was built to make it much easier to give small amounts (micro-donations) to good causes while also significantly lowering the associated fundraising costs of registered charities,” Poulton said. “With goodthnx.me, there is no direct cost for a charity to be listed, nor for the receipt of donations. 100 per cent of the intended donation passes through. It's also free for users to access online or via free apps to download. Profit public ancillary fund, which means that it collects donations from the public into its Gift Fund and then distributes those donations to charities and other organisations who have deductible gift recipient status on a quarterly basis. He said that via his small start-up company there is the opportunity to on-sell the innovative software program that drives the App. The charity partners so far include Beyondblue, ?RSPCA South Australia,? St Vincent de Paul Society Victoria, World Vision Australia and WWF-Australia, AIME,? Alannah and Madeline Foundation, Australian Refugee Association, Beacon Foundation,?Enable Australia,?Engineers Without Borders, ?Father Bob Foundation, ?Habitat for Humanity SA,? Junction Australia, ?Ladder,? Mind Shift,? Phoenix Australia, Rebuild Independence Group, SAHMRI, ?Seniors and Silkies, South Australian Museum,? SPELD,? The Orange Pigeon, ?Windmill Theatre,? World Animal Protection. Good Thnx is open for all Australian charities with Deductible Gift Recipient (DGR) status to join.